HostCoin ICO – HostCoin is the world’s first website hosting service built on the blockchain, powered by HOSTCOIN tokens. 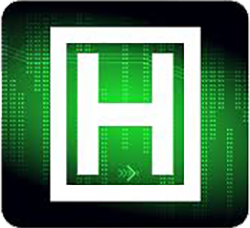 HostCoin will introduce a new level of safety to the world with military grade websites that are impenetrable. A website that can never be taken down or never removed is a very appealing feature that Blockchain hosting offers. Blockchain built Secure Socket Layer (SSL) will offer a new level of security and site safety. Instant domain transfer to another hosting server on the blockchain. Peer to peer network, with no central point of control. Control over your data; it is not held by central administrators. Centralized web protocols have single point of failure, and are hence insecure. Blockchain hosting will have a higher level of security. We fully intend to compete with the larger hosting and domain service providers in the industry by replacing traditional hosting infrastructure with Blockchain. HostCoin aims to create value through the creation of un-hackable websites hosted through blockchain technology. Pre ICO: 500,000 HostCoin will be sold in pre-sale for 50% discount. 20% Bonus for all HostCoin sold. ICO: The remainder of HostCoin will be sold at full price. The company will hold the balance of unsold HostCoin for future needs and improvements. 11,111,112 HоѕtCоіn wіll be mined.